Author book jacket review by MaryJane Butters. "Now that cell phones are a way of life, you won't find a better way to participate in the Good Old Days. 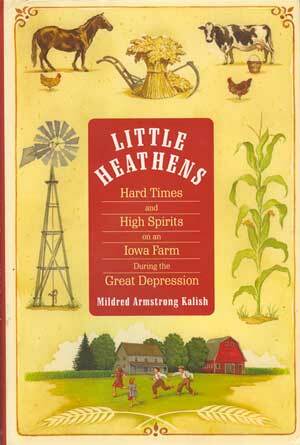 Whether you are of farm origins or not, Little Heathens is a bit of history begging to be borrowed. Like a neighborly cup of sugar, it will sweeten your modern-day life."